John Howie Catering private dining options at Seastar Restaurant and Raw Bar and John Howie Steak will accommodate a small, intimate group or up to 250 guests for both seated or cocktail-style events. 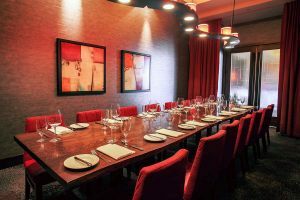 The Magnum Room accommodates up to 16 seated guests in a unique, fully private setting with warm rich woods, a reclaimed and refinished red elm table, beautiful artwork, grand lighting, high-back red leather chairs, and an audio-visual presentation system. 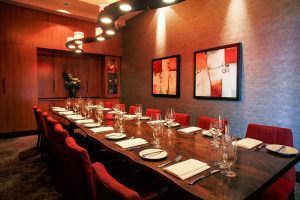 The Jeroboam Room accommodates up to 24-40 guests in a fully private setting for either a seated, presentation-style or cocktail reception environment. 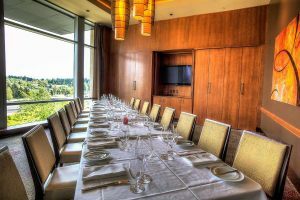 This room features a view of the Cascade Mountains and East Bellevue, and is accented with warm rich woods, linen-covered tables, leather chairs, and an audio-visual presentation system. The Seastar Room accommodates up to 22-40 guests in a fully private setting for either a seated, presentation-style or cocktail reception environment. This event space is accented with warm rich woods, bronze sculptures, a grand chandelier, and an audio-visual equipment equipped with video conferencing. The Civica Room, located across from Seastar Restaurant off the Great Room lobby, accommodates up to 60-110 guests in a fully private setting for either a seated or cocktail-style event. 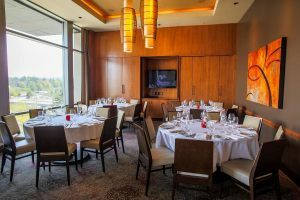 This room is well-suited for business dinners or presentations and features an open setting with warm dark woods, windows facing the building’s west patio, and audio-visual equipment. The Fireside Room accommodates up to 50-80 guests for a seated or cocktail-style event. This semi-private venue offers a warm, open setting on the west side of a two-story slate fireplace in a four-story glass atrium with windows facing the building’s west patio. The Great Room, located in the Civica Commons lobby, accommodates up to 100-250 guests for a seated or cocktail-style affair. 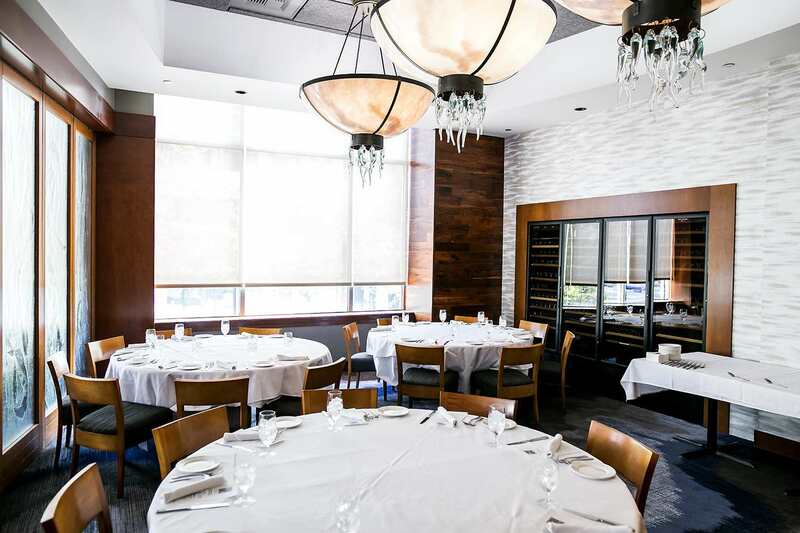 This venue offers a warm, open setting with a two-story slate fireplace in a four-story glass atrium with windows facing the building’s west patio.